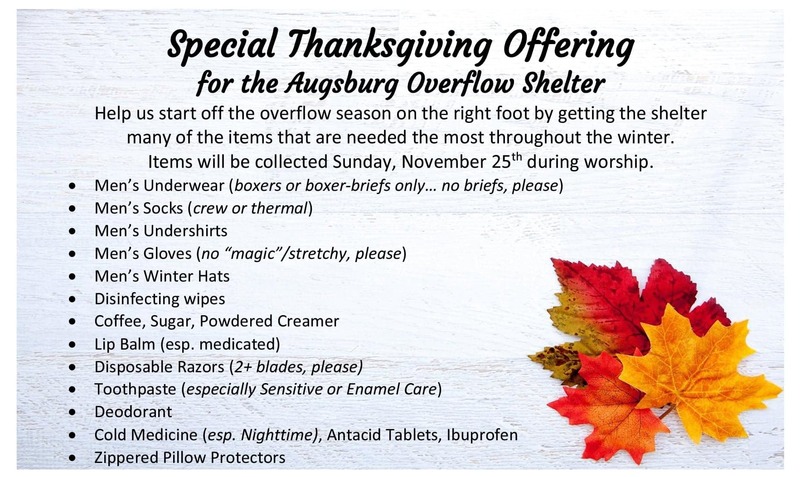 This Thanksgiving, we’ll be having a special offering for the Overflow Shelter at Augsburg. Items will be collected on Sunday, November 25th. That’ll be the week after the retreat! Thanks for all your support!